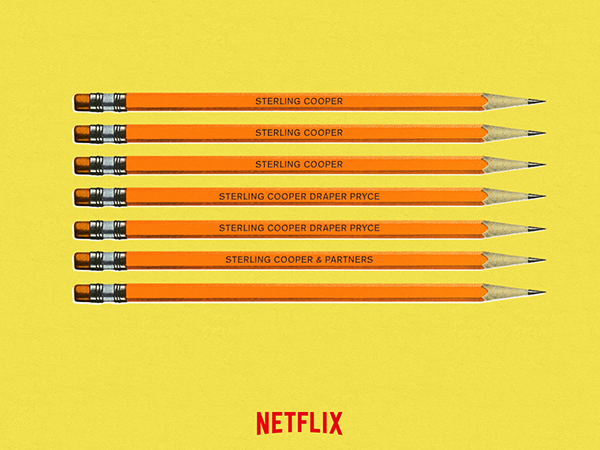 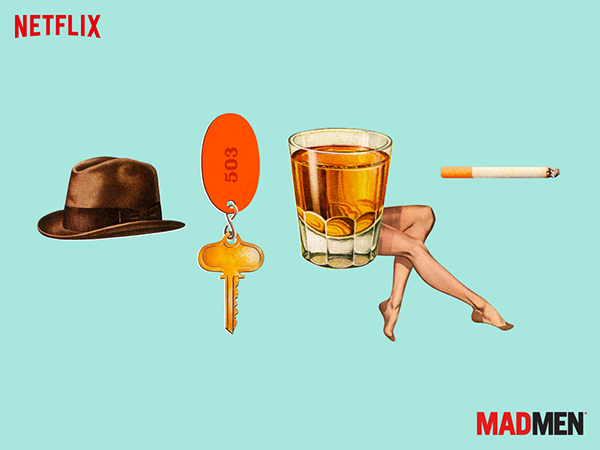 Two iconic brands come together, and I created original art posted on Netflix social channels to celebrate the streaming availability of several seasons. 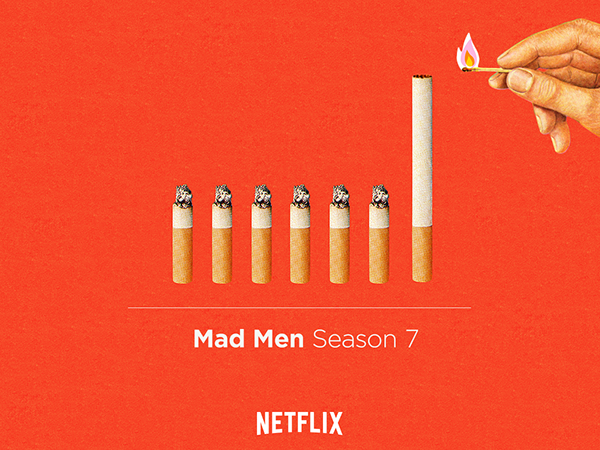 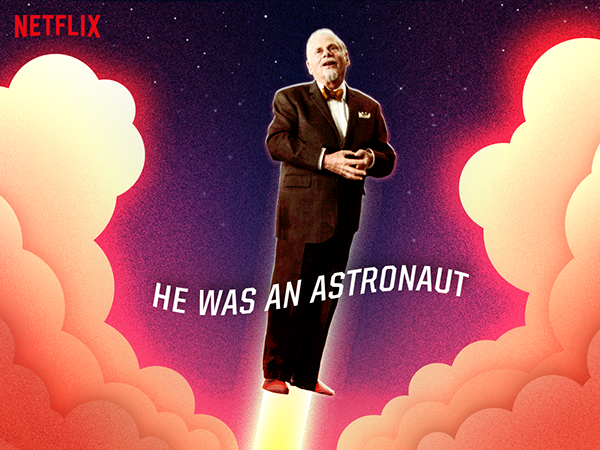 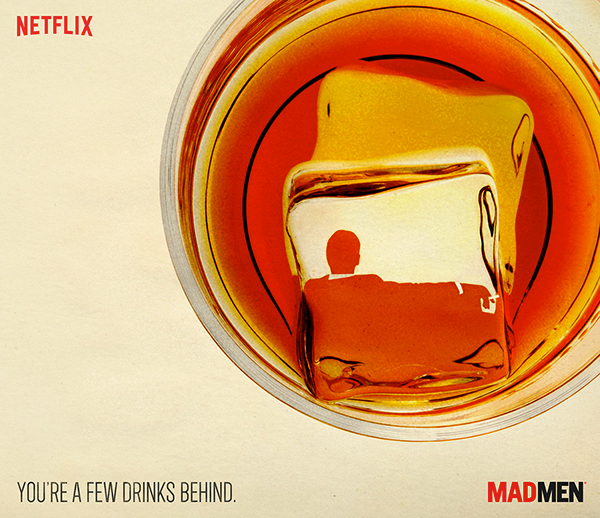 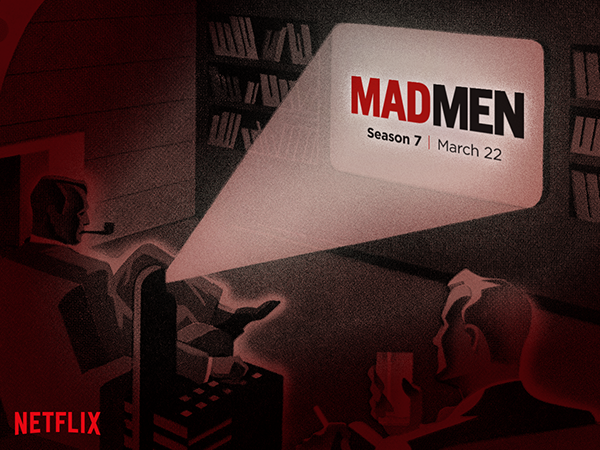 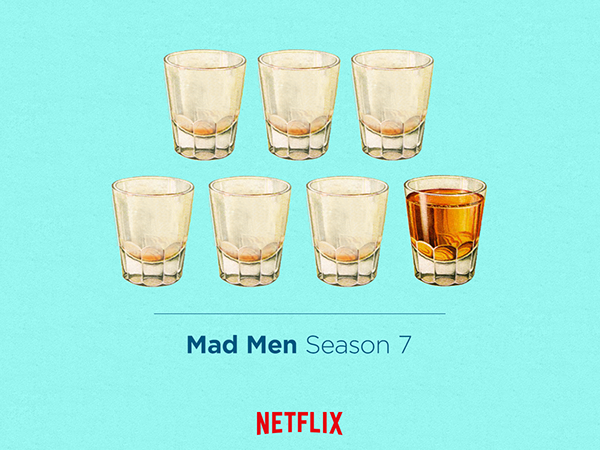 Mad Men: Season 6 Teaser, posted with the copy line "Catch up." 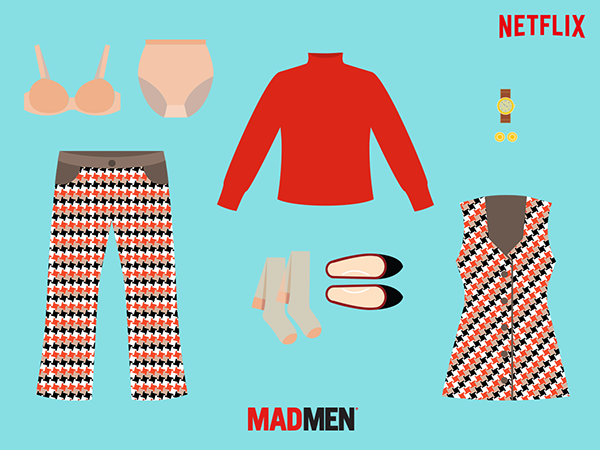 Mad Men : Final Season Post not approved, but a tribute to one of my favorite characters.